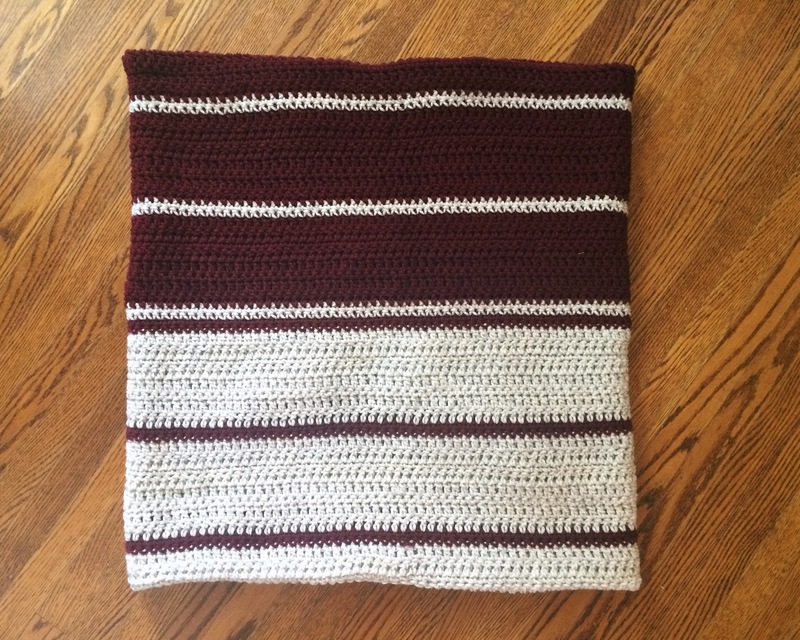 Crochet: Big Blanket – Yarn, Things, Etc. Well, it’s been quite a while since I last blogged; mostly due to the fact that it’s summer time and I rarely bring out the yarn in the summer. As I was sitting around today spending some quality time with Netflix, as I do (it’s Saturday…), I realized I have so many projects tucked away that I’ve never blogged about. Most aren’t really worth a mention since I like to repeat projects, but this one is definitely worth it. I like to call this my Single Ladies blanket. While it’s not entirely deserving of a Beyonce-esque title, it is my answer to being single this winter. It might be a cliche of some sort (or every sort) to be biding my time with crochet. Life realness aside, I am actually extremely proud of this project. It is generally the kind of endeavour that I would give up on half-way through, but not this time! 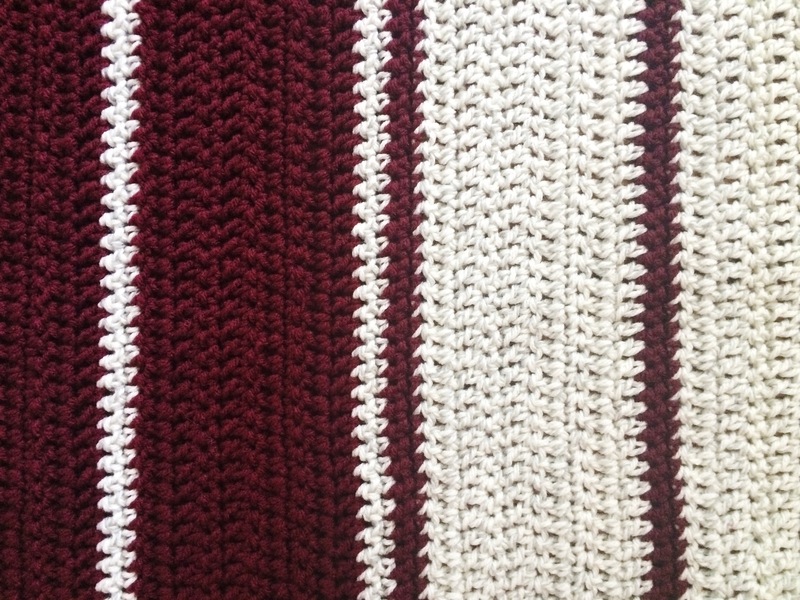 As you’ll see, this blanket is split into two colour schemes. While not entirely on purpose, I actually don’t mind the way it turned out. Long story short, when I tried to buy more grey yarn at Michaels in the midst of a big sale — surprise, surprise — there was none left! You can imagine the look of horror on my face when I found out they were also out of the back-stock as well. The poor teenage attendant didn’t know what to do with me. My could be 60, actually 24, year old self was extremely distraught. No matter, all turned out well in the end! There is really no pattern to be followed here; it’s really just a large, basic square. I chained roughly 150 stitches and worked 20 rows. The thicker rows are made up of 2 rows dc, 1 sc x 3 each. I repeated the same number of rows when I was forced to change colours. 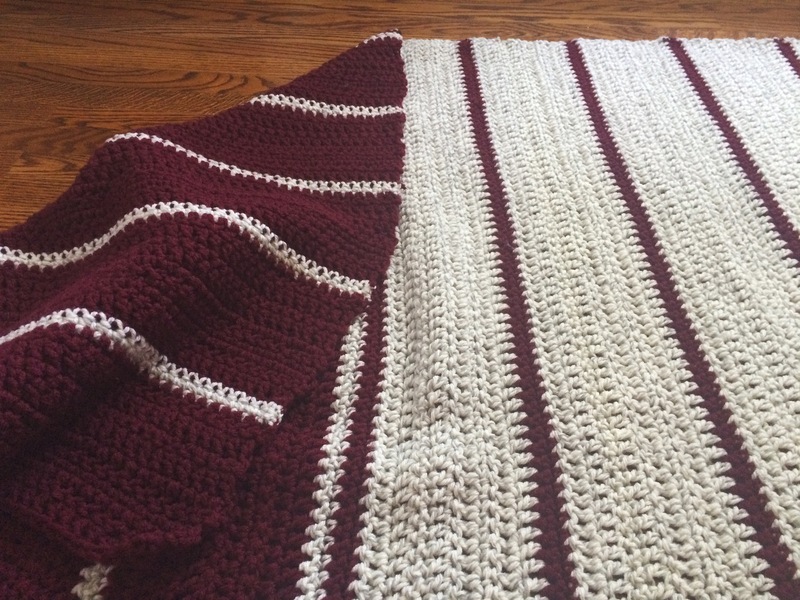 The entire blanket is about 4ft x 5 ft, which is the perfect throw size. Now I’m going to put this thing away because it is 30 degrees out!